Washington, DC - The Street Basketball Association, LLC (SBA) has renewed their partnership with the Central Intercollegiate Athletic Association (CIAA) co-produing the SBA Street Ball Show featuring the SBA All-stars and CIAA Alumni All-stars for its 2005 Basketball Tournament in Raleigh, NC. Known for having strong alumni, students and local resident support, the CIAA continually looks to be innovative and grow its basketball tournament providing additional entertainment on Super Saturday with the Second Annual Street Ball Challenge. Last years exciting double over-time game between the SBA All-stars and CIAA Alumni during the afternoon of Super Saturday gained tremedous support and notiroity with over 12,000 basketball enthusiasts coming out for the game. The SBA and CIAA are confident that round two of the "SBA/CIAA Street Ball Challenge" will once again be a strong component of the already successful week long tournament. The SBA has developed a "turn-key" entertainment product branded The Show. The Show combines the SBA"s electric brand of street basketball with music to create a model unlike any other product. When an audience is added to this model it will become combustible and will explode, creating an enthusiastic atmosphere. Even though The Show is an entertainment exhibition, it demonstrates the authenticity of street basketball recreating the atmosphere similar to the legendary Rucker Park in New York City and the Urban Coalition in Washington, D.C.
"Every year the CIAA tournament gets bigger and better. With the success of last year"s Show, and the top street ball players gaining more and more recognition, popularity, and media coverage, we look to take the Second Annual SBA/CIAA Super Saturday Street Ball Showcase to another level. Once again, partnering with the CIAA is a win-win scenario for everyone involved, states Matthew Rosner, Director of Basketball for the SBA. Bringing "The Show" to one of the biggest tournaments in the country will provide an excellent platform and opportunity to showcase and promote the SBA while enhancing the overall CIAA Tournament with one of the hottest basketball and sports products in the world." 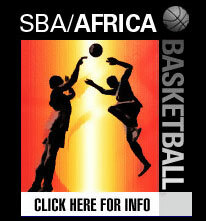 The SBA is a sports marketing and entertainment company specifically dedicated to spearheading the growth and development of street basketball. The SBA has developed the first ever professional street basketball league allowing fans to experience some of the most dazzling and unparalleled street-ball players and team performances available anywhere. The SBA creates a fertile landscape for players to develop their talent in a highly competitive atmosphere under the guidance and leadership of former NBA professional players and industry professionals.